GTViewer version 9.0.x.8 is available. - FIX - #6202 - If a Feature Tooltip label is blank and the value is blank, then the attribute is skipped. - NEW - #6212 - All GTM paths will now accept a semicolon delimited list of paths. The first valid path will be used if more than one path is given. - NEW - #6219 - Detail Range File now includes a coordinate mode parameter so that ranges can be specified as system or computed coordinates. - NEW - #6223 - The filterId for CopyHighlightedToSession can now be set with the HighlightedToSessionFilterId Data Property. - NEW - #6225 - LoadLinestyleDef method added. - FIX - #6232 - Text elements containing empty strings would cause problems with Feature Counting. - NEW - #6237 - The Element Tab on the Attribute Info dialog will now show detailed information for Dimension elements. - CHG - #6238 - Post functionality will no longer post and empty .gtg file. - NEW - #6239 - CategoryStyleScale support added to the category sections. - FIX - #6244 - BGMask was sometime not getting filled depending on last style object used. - NEW - #6245 - Selecting a coordinate row on the element tab will now draw a highlight circle at the selected coordinate. - FIX - #6247 - RasterPath entry did not follow the alter path definitions added with #6211. - FIX - #6248 - BorderColorValue was not working for Shape with Hole Elements. - FIX - #6250 - The RasterPath entry in Raster Categories was not correctly handling the lack of a backslash at the end of the path in all cases. - FIX - #6260 - TrueType fonts on UDLS definition were not correctly centered in the lines. 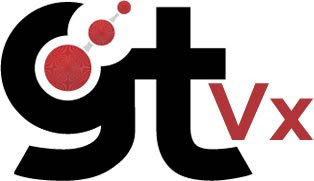 Version 8.0.x.15 of GTVx is available. - NEW - #6242 - ExtractDataByShape method has been added. - FIX - #6243 - BGMask was sometime not getting filled depending on last style object used. - FIX - #6246 - RasterPath entry did not follow the alter path definitions added with #6211. - FIX - #6249 - BorderColorValue was not working for Shape with Hole Elements. - FIX - #6251 - The RasterPath entry in Raster Categories was not correctly handling the lack of a backslash at the end of the path in all cases. - FIX - #6261 - TrueType fonts on UDLS definition were not correctly centered in the lines.